The Broncos have released a couple big name players from the roster, as the Denver Post reports the release of both Jamal Williams and Justin Bannan. Big as he is, the release of nose tackle Jamal Williams barely caused a ripple. He is about to turn 35. He became a 348-pound man without a position now that the Broncos have switched from a 3-4 defense to a 4-3. He didn’t exactly tear it up in the 3-4 with the Broncos in 2010. And he was about to collect a $1 million roster bonus that would have all but assured another $4.2 million in salary. And so Thursday, after Williams refused a substantial pay-cut offer, the Broncos cut the veteran after just one season. The Broncos release of defensive tackle Justin Bannan, however, stirred surprise, if not borderline shock. Kevin Vickerson will continue working in Denver. The Broncos re-signed the defensive end to a two-year contract Thursday night. Bannan, who turns 32 next month, signed a five-year, $22 million contract with the Broncos just last year. The Broncos called him Wednesday to offer him two options: A severe pay cut, or his release. The team also gave him less than 24 hours to consider it. 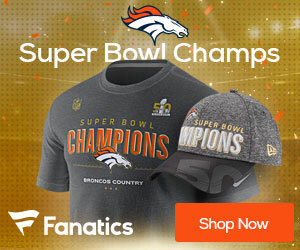 After deciding to decline the Broncos’ massive salary reduction, Bannan was released to free agency, where he already has drawn serious interest.